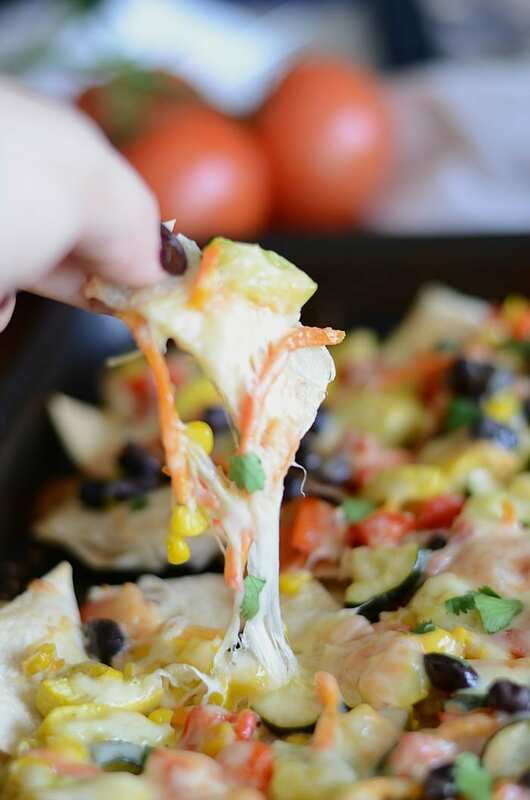 These roasted vegetable nachos are perfect as an appetizer or dinner! Hey yall! Confession time. I’m a stress eater. And I wish I was a fruit and green tea stress eater but I’m not. I’m a straight up comfort food seeker. When the ish hits the fan, I hit the fridge. So when my site was down for 4 (maybe 5 days.. I stopped counting) I went straight for my foodie favorites. I made homemade guacamole twice in the 4 (or 5) day period. 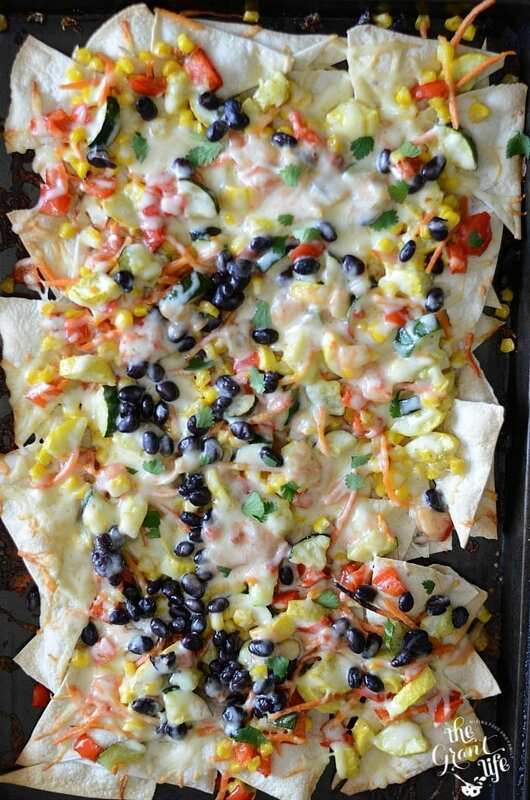 I made homemade queso (recipe coming soon) and I made these roasted vegetable nachos. Clearly my idea of stress-induced comfort food is anything Mexican. Which sort of surprised me because I would have guessed pasta for myself. But during the time my site was down all I wanted was Mexican eats. I even made shredded chicken tacos with homemade mango salsa. I had a serious case of “eat all the Mexican food”. And I’m not saying that it was a bad thing. 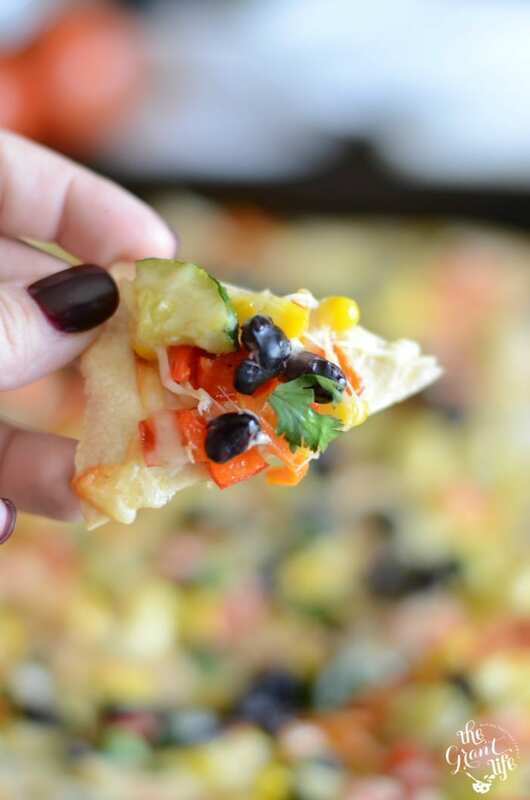 I feel like these roasted vegetable nachos are my attempt at a comfort food with a dash of healthy. As much as I love tortillas and cheese I also love fresh vegetables. I bought a steamer basket a few months ago and it’s one of my favorite kitchen gadgets. Since it was cold-ish out down here when I was eating all the cheese and guacamole, I decided to roast my veggies instead of steam them. I added a little garlic powder and salt to them before sliding them in the oven to roast. Let me tell you – my house smelled ahhhhh-mazing! For the nachos I used flour tortillas and baked them until crisp. I love a soft/semi-crispy flour tortilla chip over the plain ones. Feel free to use whatever chips you prefer. Preheat the oven to 350. 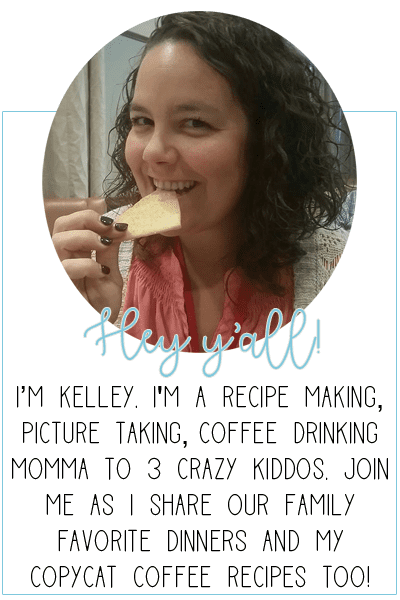 Slice the tortillas into triangles and place on a lined cookie sheet. Bake for 15 minutes, or until they start to get crispy. 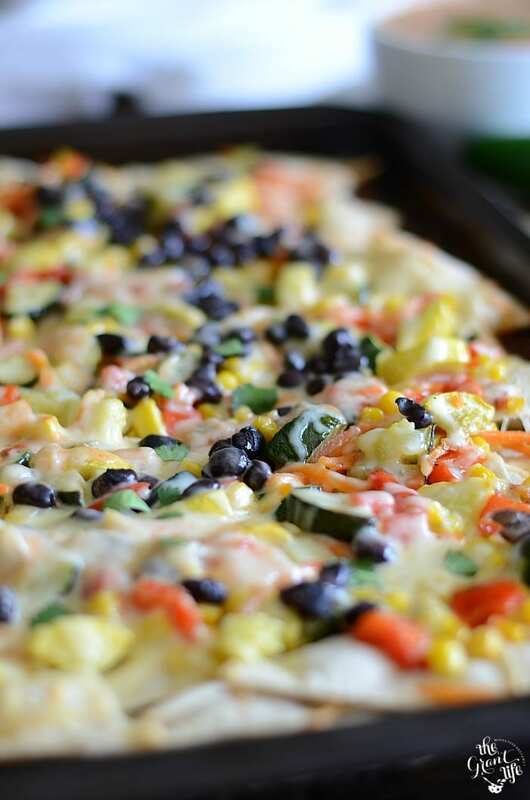 While the tortillas are baking, mix together all the vegetables in a large bowl. Add in the olive oil and spices. Toss to coat. 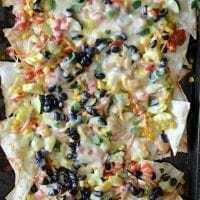 Spread the vegetables over the tortilla chips evenly. Cover with the cheese and place back in the oven. Bake for 15-20 minutes or until the cheese is melted and starting to bubble. Remove, top with cilantro and enjoy! Thank you for the nice recipe. I love it.